Canada's "banana belt" or "lotus land"
Vancouver, British Columbia, Canada - nicknamed Canada's "banana belt" or "lotus land" enjoys a mild, temperate climate and offers visitor activities year-round. The City of Vancouver is situated south of the Burrard Inlet and north of the mighty Fraser River. In the distance hugging the skyline are the North Shore Mountains. To the west of the city is the Strait of Georgia, Vancouver Island, and the Gulf Islands. Activities and attractions most enjoyed in and around Vancouver and the surrounding areas includes golfing, biking, hiking, kayaking, fishing, birding (birdwatching), picnicking, rollerblading, flightseeing, cycling, whale watching, sightseeing, art touring, disc golf, SUP, boating, swimming, beachcombing, sailing, spa experiences and ice skating, downhill skiing and snowboarding. A few of the more popular activity and sightseeing destinations located in and around Vancouver, British Columbia includes Queen Elizabeth Park, Stanley Park, Vancouver Seawall, Grouse Mountain, Cypress Mountain, Lighthouse Park, Seymour Mountain, Nelson Canyon & Whyte Lake Trail, Vanier Park, Cypress Falls Trail, Pacific Spirit Regional Park, Whytecliff Park and there are over 20 kilometres of beach coastline in Vancouver including First Beach (English Bay), Second and Third Beach (Stanley Park), Spanish Bank (Extension, East & West), Kitsilano Beach, Jericho Beach, Sunset Beach, Locarno Beach, Dundarave Beach and Wreck Beach. What are the Accommodations, Services and Amenities in Vancouver, BC? Travel services and amenities important to travelers in and around Vancouver, British Columbia includes accommodations (guest ranches, hotels, motels, bed and breakfasts, vacation homes, cottages, inns), campgrounds, tours, guides, big box stores, restaurants, laundromat, coffee shops, casino, wineries, breweries, grocery stores, pubs, liquor store, banks, gas station, gift stores, and internet services. The most visited natural sightseeing attractions, historical sites and cultural venues in and around Vancouver, British Columbia includes Granville Market, Bloedel Conservatory, Van Dusen Botanical Garden, Bill Reid Gallery, Nitobe Memorial Garden, Museum of Vancouver, Beaty Biodiversity Museum, Robson Square, Cathedral of Our Lady of the Holy Rosary, Roedde House Museum, Museum of Anthropology, English Bay, BC Sports Hall of Fame, Dr. Sun Yat-Sen Classical Chinese Garden, Gastown, Vancouver Symphony Orchestra, PNE - Pacific National Exhibition, Vancouver Maritime Museum and the Vancouver Art Gallery. 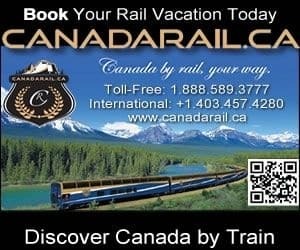 How Do I Get To Vancouver British Columbia? Transportation services getting to and from Vancouver, British Columbia include the main highway of course (Highway #99, Hwy #1A, Hwy #7A), and then there is taxi, bus, car rental, marina, rail, and the (YVR) Vancouver International Airport (16 minute drive - 13 kms) and the BC Ferries Tsawwassen Terminal (34 minute drive - 36 kms) and Horseshoe Bay Terminal (20 minute drive - 21 kms).